What systematic evidence is there that people have become more unwilling to cooperate with Census surveys? We can gain some limited insight into this question by looking at the willingness of people to participate in the American Community Survey (ACS). The bureau publishes the share of people each year who refuse to take part in the ACS. If more people are refusing to be interviewed by the Census Bureau each year it could indicate a rise in concern about confidentiality. Of course, it may indicate other social trends such as a decline in civic-mindedness. 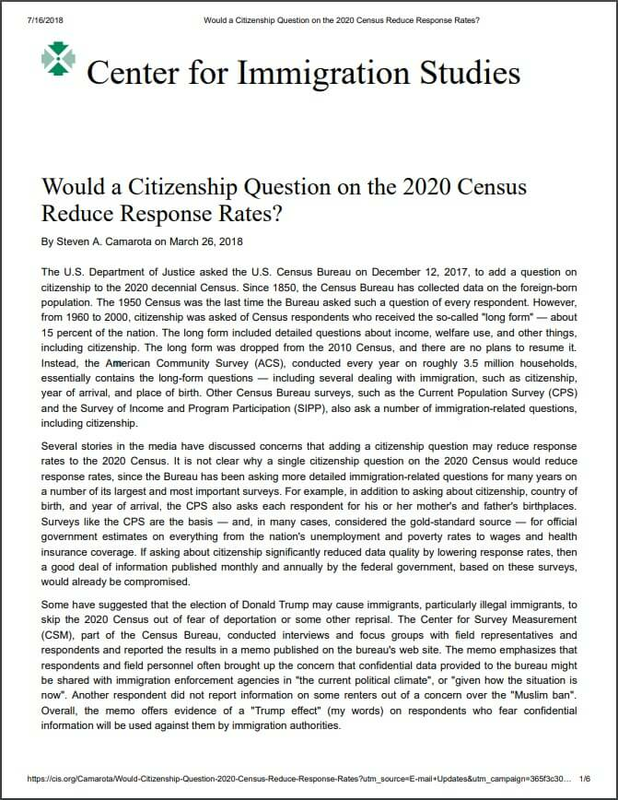 Title: Would a Citizenship Question on the 2020 Census Reduce Response Rates?